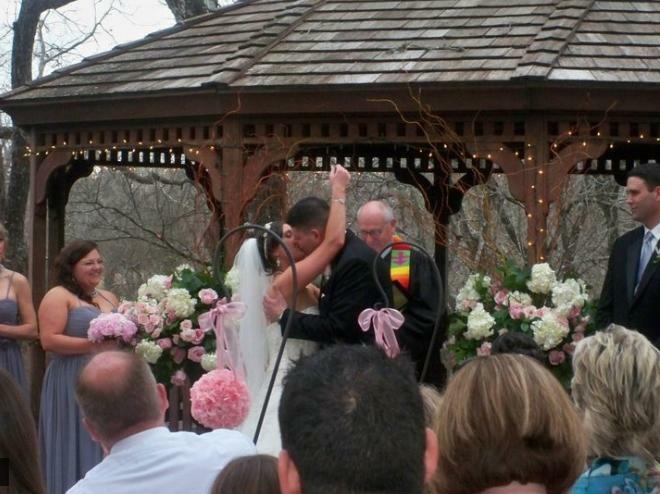 Pretty in pink wedding at Creekside Pavilion. 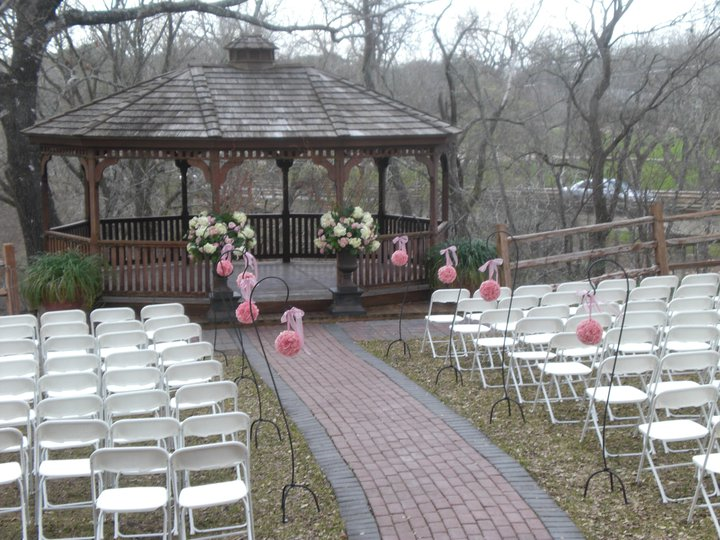 Lots of pretty pink pomanders on elegant shepherd’s hooks lined the aisle. This stunning silver tree laden with hanging votives and crystal strands was the highlight of the cocktail hour. As the evening progressed, floating candles and votives made the crystal strands, glass vases & votives sparkle! 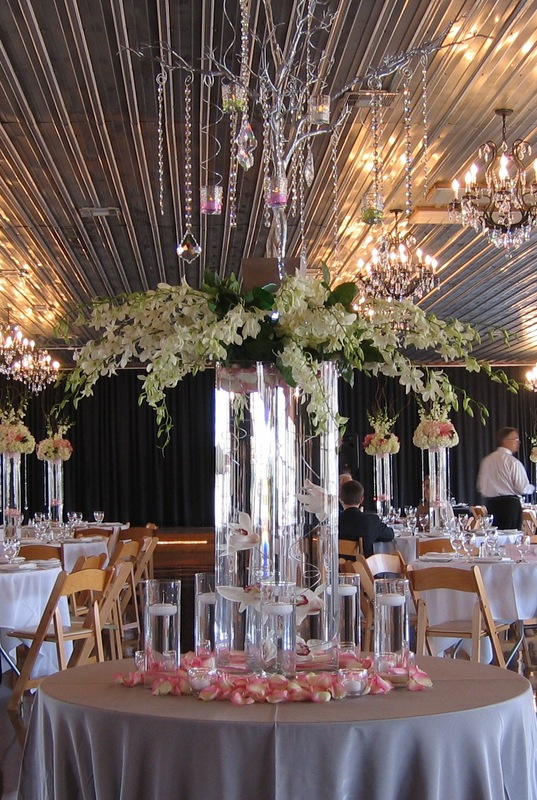 Sparkle was extended to guest tables with hanging crystals. 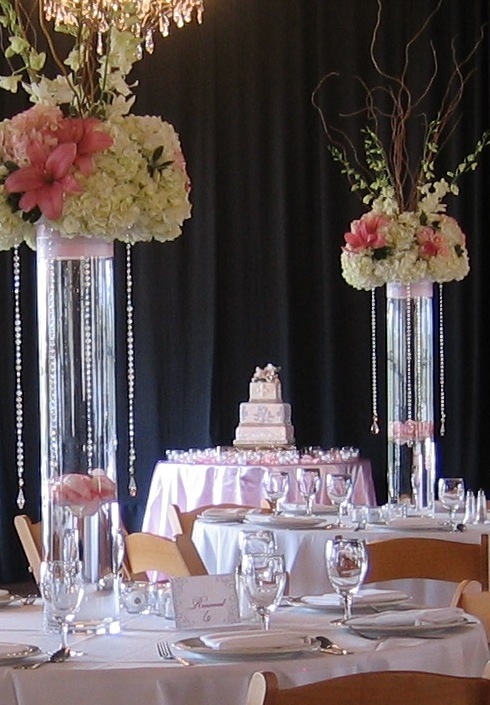 Petals in the glass vases teased the eye of seated guests. 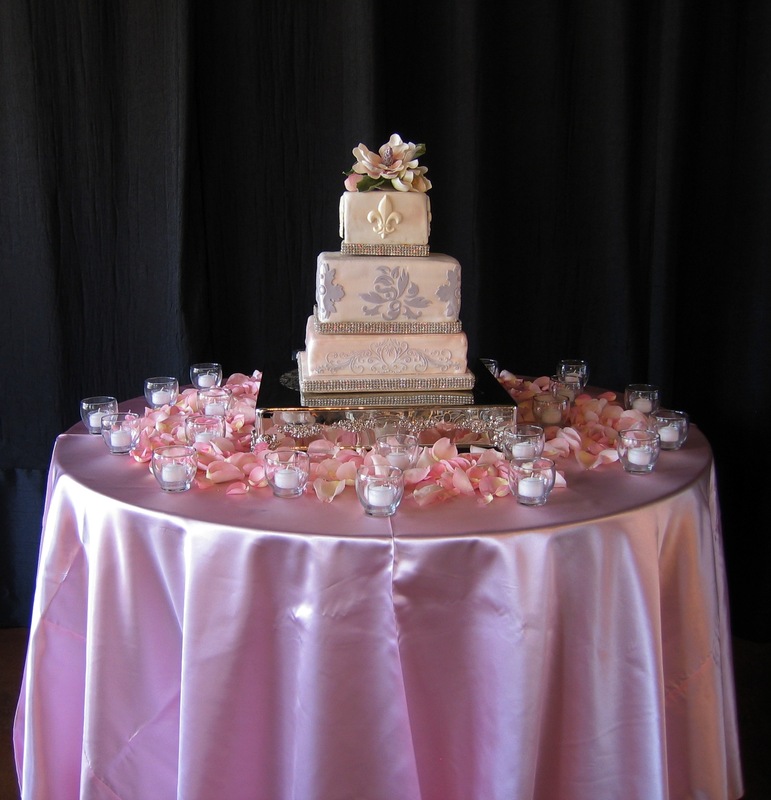 I love creating the perfect table for a bride’s cake table. Pretty pink satin linens, petals and lots of votives enhanced the color and design of the gorgeous cake (by The Bride’s Table)–the magnolia and fleur de lis really pop in the pink setting!